As we mark 35 years since the Falklands Conflict, our nation commemorates the efforts of the British Army in the ‘last traditional war’ with the Falklands Bank Note – printed the year following the liberation of the islands. Issued by the Government of the Falkland Islands, the note features a portrait of Her Majesty the Queen – the rightfully reaffirmed Head of State. 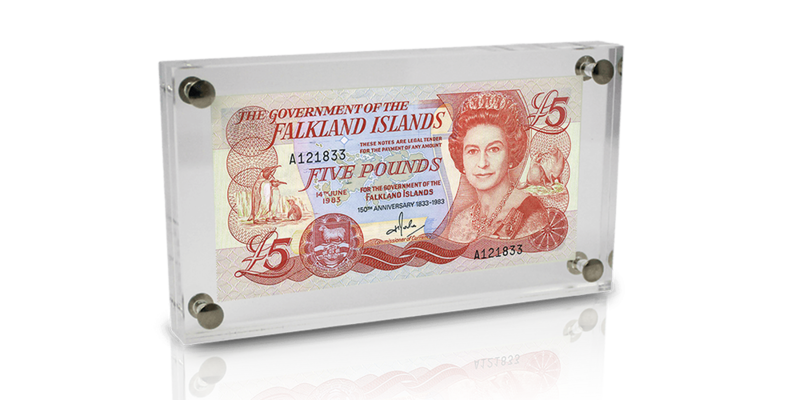 The Falkland Islands banknote is available to you for just £69.99. On this special anniversary commemoration and with limited availability, we urge you to order yours at your earliest convenience, as these are sure to be highly sought after.